Detroit, Jan 11, 2009 - The passion for state-of-the-art, transformational vehicle connectivity continues at Chrysler LLC, as demonstrated in the all-new Chrysler 200C EV concept. Delivering unprecedented connectivity in the areas of convenience, socialization and synchronization, the Chrysler 200C EV connects consumers’ online and on-road environments in state-of-the-art fashion as consumers begin to treat their vehicles as their second home. 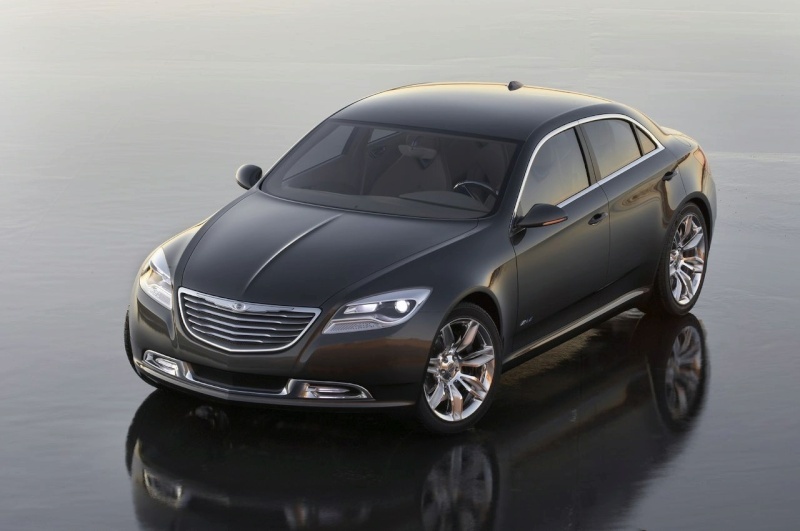 The Chrysler 200C EV concept’s advanced connectivity features focus on three primary areas: convenience, socialization and synchronization. Chrysler’s advanced connectivity system welcomes the driver, and operator-specific options display on-screen settings. Settings include radio with audio tagging – allowing occupants to purchase music by clicking on the Mopar icon. Access to Internet radio, stored MP3s, seating position and temperature, are also featured. Additionally, a “teen setting” can be placed on the vehicle to limit speed and warn the owner if the vehicle is being driven erratically or out of a specific range from home. A next-generation navigation system features a link to city-street cameras, allowing vehicle occupants to view traffic situations in specific intersections, roadways and airport security terminals in real-time. Much like an aircraft navigation system, real-time weather data is available to the driver. Additionally, this advanced system can anticipate fuel efficient routes and provide route recommendations to the driver. Using a format similar to existing web sites such as Facebook and Twitter, other vehicles can be added to Chrysler’s system which links “buddy” vehicles. Among other capabilities, this feature can show vehicle locations of friends, share directions and music, and provide “instant messaging” capabilities. Drivers can also create their own vehicle networking systems. Hidden in the dashboard is a personal computer that neatly slides out for front-seat passenger use. This computer gives the front-seat passenger the ability to use the Internet, access the navigation system, run vehicle diagnostics and read the owner’s manual, among other capabilities. All Internet features are available, from video conferencing to checking restaurant reviews and making dinner reservations on Zagat’s from the vehicle. The personal computer can be passed from the front-seat passenger to passengers in the rear. This feature adds a harmonious link between the vehicle and the home and office. System capabilities include monitoring home and office, adjusting home/office lighting, powering up home appliances and utilizing intercoms. This technology links a “smart” phone to the vehicle. The phone can be programmed to allow starting of the vehicle, adjust power windows and locks and set vehicle temperature. In addition, an in-vehicle camera can monitor security of the vehicles. In the event of a lost or stolen vehicle, the phone can disable the vehicle and locate it using satellite imaging. Finally, the system can relay diagnostic information to the phone, keeping the owner apprised of vehicle systems, such as state of battery charge.